Over strong objections from the intelligence community and law enforcement, President Donald Trump has declassified a controversial GOP memo alleging political bias and abuses of government surveillance powers at the FBI and Justice Department. Trump formally approved of its release Friday by the House Intelligence Committee without redactions. “I think it’s a disgrace,” Trump said of the allegations the memo is said to reveal during a photo op in the Oval Office. The White House transmitted the president’s opinion to the committee in a letter on Friday morning, clearing the way for the committee to release the three-and-a-half-page document which it did shortly after noon. 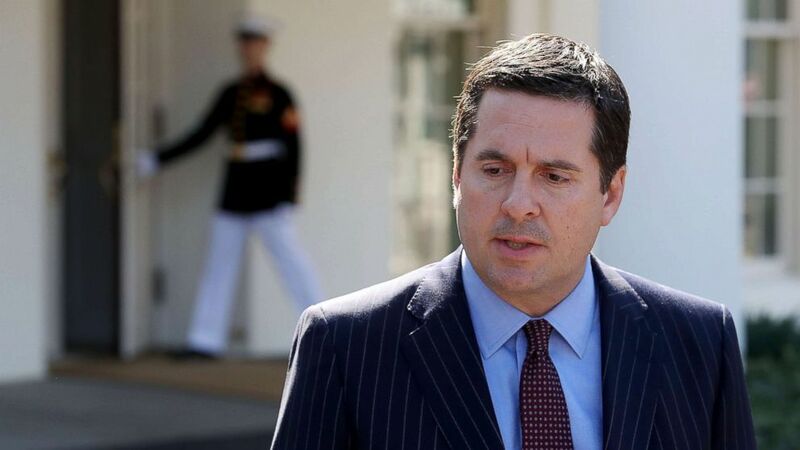 “The Committee has discovered serious violations of the public trust, and the American people have a right to know when officials in crucial institutions are abusing their authority for political purposes,” Intelligence Committee chairman Devin Nunes, R-Calif., said in a statement. The memo, written by Republican staff on the House Intelligence Committee, deals entirely with the process that led to the court-approved surveillance of former Trump Campaign adviser Carter Page, who authorities suspected at the time of being a Russian agent. It alleges the Justice Department requested and received a FISA surveillance warrant of Page in October 2016 because of information included in an infamous dossier written by former British intelligence officer Christopher Steele, who was employed by the opposition research firm Fusion GPS that received funding for the project, in part, from the Democratic National Committee and the Hillary Clinton’s presidential campaign. It also alleges the Democratic-funded Steele dossier formed “an essential part” of the Carter Page FISA application, but DOJ officials did not disclose to the court that the dossier was funded by Democrats in the midst of a presidential campaign. The FISA application also allegedly cited a Yahoo article written by Michael Isikoff to corroborate the information in the dossier about Carter Page. The memo alleges Isikoff’s source for that information was Christopher Steele. The memo alleges the FBI knew of Steele’s political bias against Trump, but did not disclose it to the FISA court. Neither the Justice Department nor the FBI, which had lobbied the administration against release of the classified, Republican-drafted document citing “grave concern,” had comment on the memo or its allegations when reached by ABC News. The Justice Department is currently overseeing Special Counsel Robert Mueller‘s investigation into Russian meddling in the 2016 campaign, potential collusion by members of the Trump team and possible attempts to obstruct justice. “The selective release and politicization of classified information sets a terrible precedent and will do long-term damage to the Intelligence Community and our law enforcement agencies,” the statement reads. The Democrats also demanded that a counter-memo they drafted also be released. As ABC News has previously reported, the memo is also critical of Deputy Attorney General Rod Rosenstein for his role in renewing a surveillance warrant on Page after Trump took office. While Rosenstein is only mentioned in passing, Trump’s Republican allies have suggested that the deputy attorney general — who is also overseeing the Mueller investigation — is guilty of political bias toward the president because he supported the surveillance on Page based in part on information from a Democrat-funded dossier. “Does it make you more likely to fire Rosenstein? Do you still have confidence in him after reading the memo?” a reporter asked the president Friday in the Oval Office. “You figure that one out,” Trump responded. Earlier Friday, before the memo’s release, Trump launched an extraordinary attack on his handpicked leadership at the FBI and Justice Department. The FBI Agents Association, which represents 14,000 current and former agents, defended the work of its members in a statement after the criticism from the White House and in the memo. ABC News’ Arlette Saenz contributed to this report.